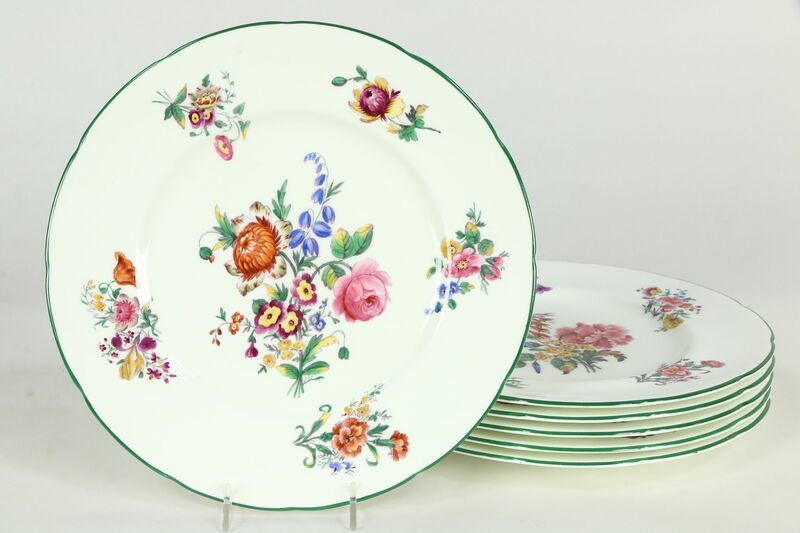 Set of Six Old Coalport Period 1825 Signed Dinner Plates 10 1/2"
A set of six 10 1/2" dinner plates are signed "Old Coalport Period 1825." This undamaged china with very minor wear and scratches is signed "Tatman Chicago," the retailer who sold this vintage English china about 75 years ago. Please view 9 photos at full screen size for best detail. USPS Shipping is $20 in the US.